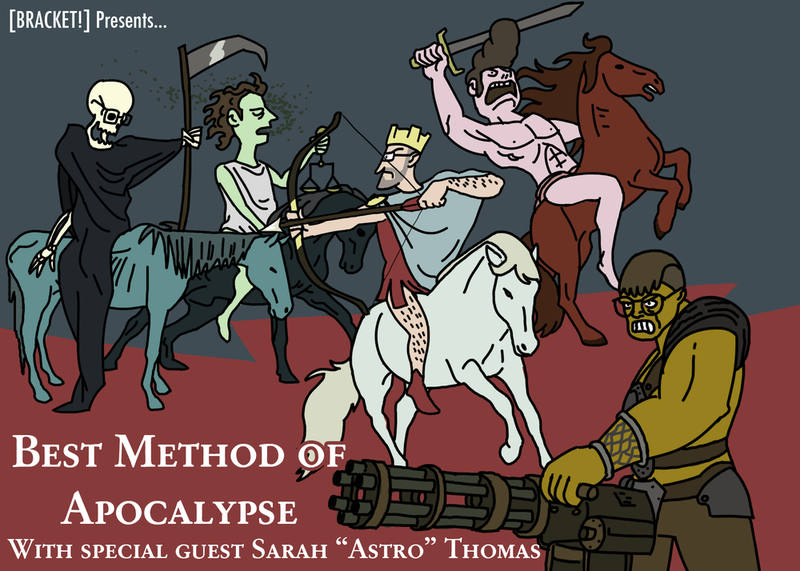 Special guest Sarah "Astro" Thomas joins us to discuss THE END OF ALL THINGS, WOE UNTO THOSE WHO LIVE DURING THE DEATH OF LIFE ITSELF! Meanwhile Jesse gets a package from a friend of the show, and we reveal the details of our FIRST EVER [BRACKET!] giveaway! Posted on June 4, 2014 by Bracket Podcast and filed under with Sarah Thomas and tagged apocalypse sarah thomas astro guess what greg votes for in this one its robots did you know greg likes robots P.S. greg voted for obama twice so dont get on my case or anything season 1.